Our exciting family orientated activity is ideal for beginners, children and adults of all ages (male and female). All the equipment is included and we use feather lures so no messy bait ! 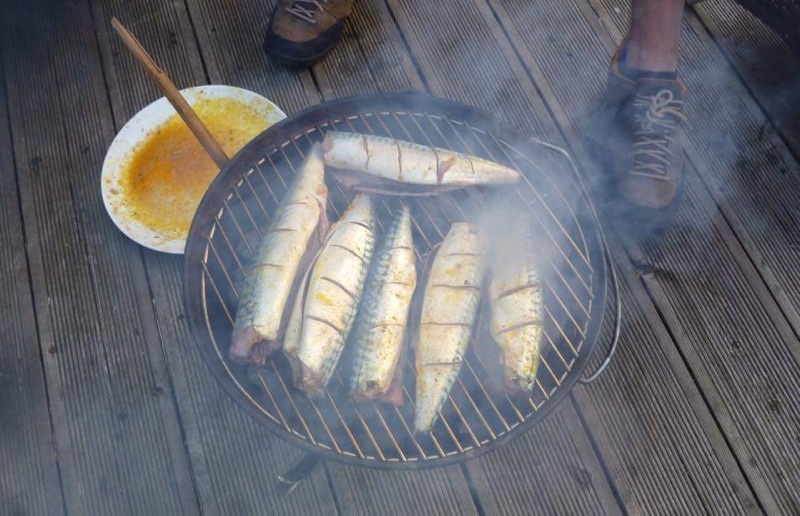 What you catch you can keep, Skipper John can show you how easy it is to catch and prepare your Mackerel – perfect for a summer BBQ ! Easy to book, phone or email us. Tenby’s longest established Charter Fishing business and the only ‘owner operated’ boat. BOOKING YOUR TRIP – To check availability and book your trip within 24hrs please call us on 07974 623 542 (You can call us 7 days a week between 8am and 10pm) or for more advanced booking simply use the Quick Booking Request below or email: john@tenbyfishing.co.uk. 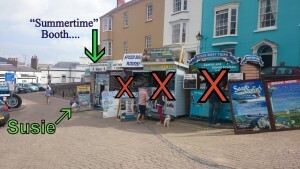 Please note all booked parties need to attend and confirm their places 30 minutes before departure at the Summertime booking office (pictured left) located at the top of the Tenby harbour pier (none attendance and confirmation 30 minutes prior to departure will result in your places being re-allocated). Please note all booked parties need to attend and confirm their places 30 minutes before departure at the Summertime booking office located at the top of the Tenby harbour pier (none attendance and confirmation 30 minutes prior to departure will result in your places being re-allocated). Please tick the box to confirm. 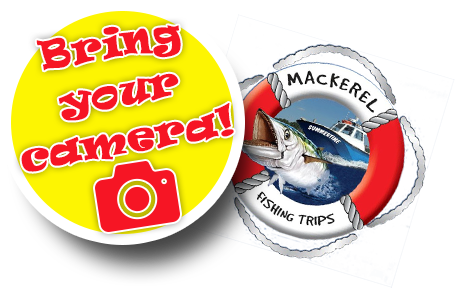 Tenby Fishing have been running mackerel fishing trips in pembrokeshire for over 15 years. Our exciting family fishing trip is ideal for beginners, children and adults of all ages. Everyone is welcome. ‘We usually sail five times a day 7 days a week*. All fishing equipment is supplied ready to go, and no experience is required. Our skipper, John wants nothing more than to see you catch lots of fish (it is our best advertisement after all!!)**. John can even show you how to prepare your catch ready to eat. Yes – you can keep what you catch. 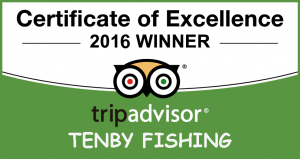 Tenby sea fishing has gained in popularity as has fishing in Pembrokeshire in General. So if you’d like to know more about our mackerel fishing trips get in touch today, or browse our site for more information. *weather permitting / ** Understandably with so many factors out of our control, we cannot guarantee catching fish. 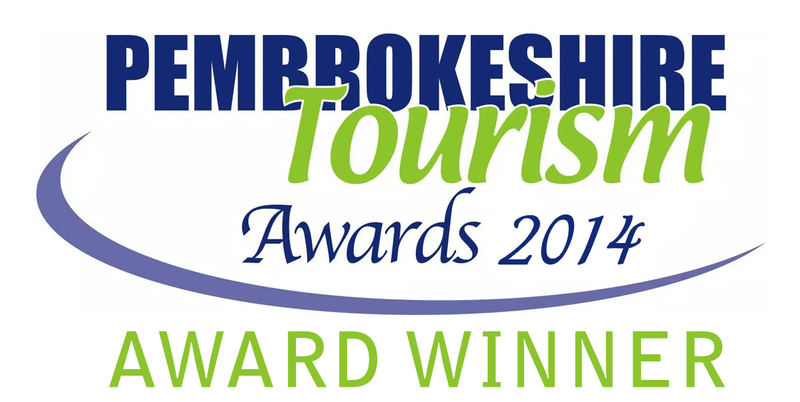 The longest running sea fishing trips pembrokeshire has to offer.